For residents of North Carolina, who struggle with alcohol addiction and abuse problems, help is around the corner with fast and quality alcohol abuse counseling and treatment services offered through any of the following alcohol hotlines. Delphi Health Group offers free, confidential, and insured alcohol abuse counseling and recommendations on treatment services for people with alcohol abuse. DHG offers nationwide coverage, however, provides treatment referrals to local alcohol addiction programs. Call the alcohol information hotline (866)-520-2708. Representatives are available to offer services 24/7, all year round. The provider guarantees full confidentiality. NAMI NC Helpline provides information, support, and treatment referrals for individuals and families with alcohol addiction as well as other substance use disorders. NAMI NC alcohol help hotline 1-800-451-9682 is available Monday to Friday, 8:30 am to 9:00 pm. Call to speak to a representative and receive the needed support. Alcohol and Drug Council of North Carolina provides information on treatment for alcohol addiction, and referrals to support groups and reputable treatment programs. Call the alcohol helpline free on 800-688-3196 24 hours a day, 365 days a year. SAMHSA is a national agency that provides free information service and referrals to local alcohol and other substance abuse treatment services and support groups. Call the national alcohol abuse hotline on 1-800-622-HELP to speak to a representative. Calls are toll-free, confidential, and available 24/7, 365 days a year, and provided in English and Spanish languages. 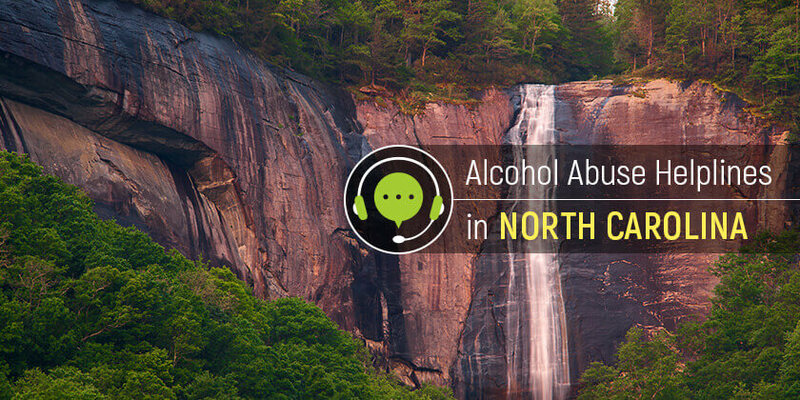 North Carolina residents with problems with alcohol addiction can reach out for help by calling any of these helplines.